P.G. 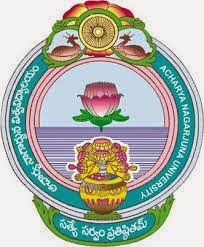 IV SEMESTER (MPHARMACY, TELUGU, JOURNALISM AND MASS COMMUNICATION, SOCILOLGY, SOCIAL WORK, CHEMISTRY, PHYSICS, M.T.T.M. 4th SEMESTER EXAMINATION APRIL-2015, MATHEMATICS, OIL &amp; FAT, MBA HOSPITAL ADMINISTRATION APRIL 2015, COMMERCE, ENGLISH, GEOLOGY, RURAL DEVELOPMENT, BOTANY, ECONOMICS, MICROBIOLOGY, ZOOLOGY, BIOCHEMISTRY, STATISTICS, AQUACULTURE, COMPUTER SCIENCE, ENIRONMENTAL SCIENCE, HINDI, LLM, POLITICAL ADMINISRATION, POLITICAL SCIENCE) EXAMS RESULTS APRIL-2015 RESULTS RELEASED TODAY AND YOU CAN CHECK YOUR RESULTS FROM THE BELOW.